Hi friends! How was your weekend? I had such a lovely weekend, my husband and I took a mini-vacay to Kansas City where we attended Chopped Con, a food blogging conference in the heart of the midwest. Yes, I dragged my husband to a food blogging conference since he is the behind the scenes guy I figured it would be fun for him to see/hear more about this thing I love so much. Check back later this week for a little recap of the conference. If you have been a reader for awhile you already know how much I love throwing birthday parties for my kiddos. 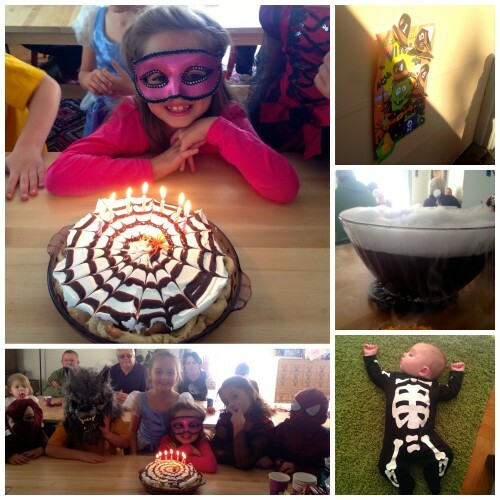 Penelope had a birthday earlier this month and she went with a Halloween costume party theme, which is a great October birthday party theme. When I asked her what kind of cake she wanted she said French Silk Pie, not cake. OKAY! I can do that! Since this was a Halloween themed party I swirled some Hershey’s syrup on the top of the whipped cream. Using toothpicks I dragged them through from the middle to the outside making it look like a spider web. Spooky, right?! Spooky delicious. 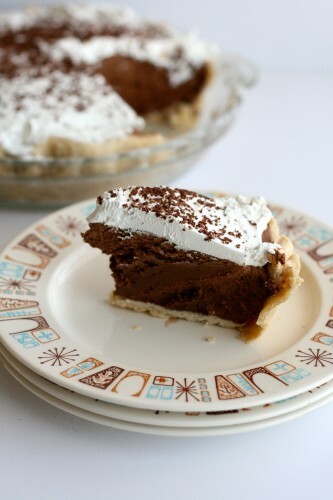 This pie is RICH and CHOCOLATEY. I actually made this pie earlier in the month as a trial run for Thanksgiving. Penelope LOVED it and that is why she chose it for her birthday. I like the way she thinks. 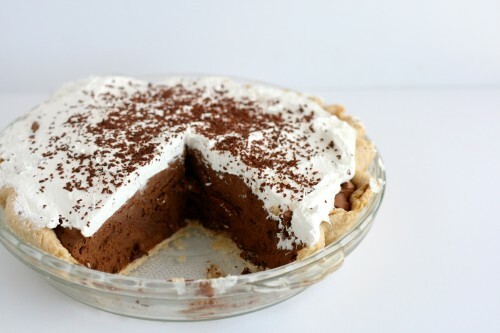 French Silk Pie was a favorite of mine at those 24 hour diners I would go to at 3 am in college. For some reason I always thought it would be so involved and difficult to make, I mean it is French so it had to be complicated, right. This is not true. It is shockingly EASY to make. If you have mixer it will do the work for you. YAY! The filling is gluten free so pour it into your favorite gluten free pie crust and you will have a decadent gluten free dessert. Gently roll out the crust between two sheets of parchment paper. Place it in a pie plate. Crimp edges as desired. While mixer is still running gently pour in the cooled melted chocolate. Pour into cooled crust and refrigerate for 4 hours before serving. 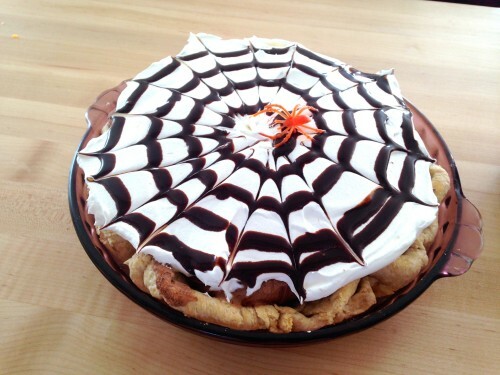 That is one seriously delicious looking pie! It was WAY easier than I thought I would be. And it beats store bought pie any day. Traditionally I surprise them with their decorated cake. This year I surprised her with the spider web 🙂 She loved it! 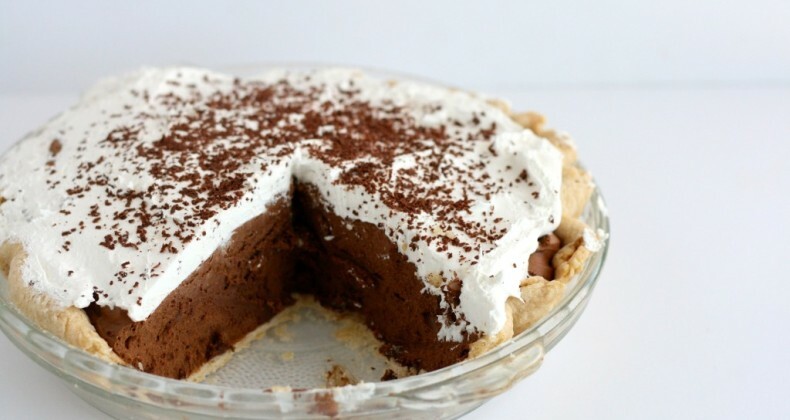 This French silk pie looks delicious, Jamie! Love anything chocolatey! Thank you! It was a fun “spooky” touch. What a beautiful pie! Your daughter is very lucky! Thank you. I love her good taste! 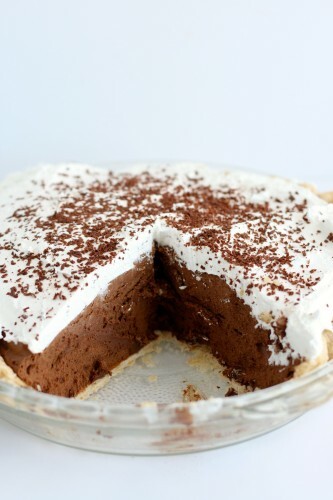 Love how much chocolate is in this dessert, it looks so lovely and light. Thanks for linking up to Sweet and Savoury Sunday, stop by and link up again. Have a great day! !